"It's kinda weird to see a whole page devoted to ZOOM. I didn't even realize that the show was even seen on a national level! Every weekday evening at 6:00pm, right around the time my mom would call us to dinner, my three brothers and I would stare at the 19" Admiral and wonder what those overactive Boston kids were up to." Virtually all the material is by children and is selected by the seven-member cast (ages nine through 13). The kids sing, dance. play games, talk in "Ubbi-Dubbi"-a catchy code language reminiscent of past generations' pig Latin-show home movies and give laconic instructions in all manner of skills. The first show featured a filmed demonstration of how to build a raft from tree limbs, leaves and an old tarpaulin. A 4-minute karate exhibition aimed at defeating bicycle thieves was on the second. The third will include a thoroughly befuddling lesson in the game of "cat's cradle," with a perplexed young instructress tangling her string and admitting, "I got it wrong." 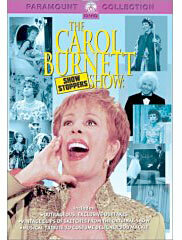 Time reported that the show received 5,359 responses in the mail for the first week. 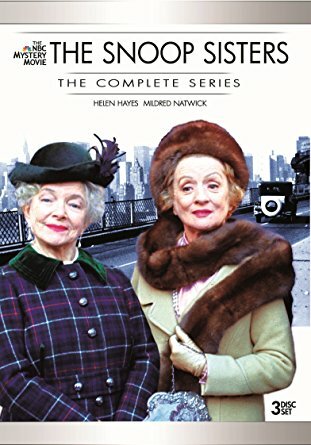 Photos (of the first season cast), other examples and information provided by Peter Jon Shuler. "My vote for the worst PBS kids' show ever - "The Righteous Apples" - a poorly acted propaganda circus, designed to sell kids on the idea of school busing to achieve integration. "I was a big ZOOM fan too- especially since I only lived 20 miles away from the studio where it was shot! Imagine my excitement when, 13 years later, I was hanging out with Tommy and his friends on a regular basis, plus my then-best-friend/roommate was going out with him. Don't know where he is now, but in the 80's, he was involved in the Boston local band scene, showing up in some of the lesser known groups such as 'The Suede Cowboys', 'The Fabulous Billygoons', and 'The Swinging Erudites'! [p.s.-Tommy, if you happen to see this note, send me an e-mail to say hi!" "I actually auditioned for Zoom back in 1973 when they were hiring a new cast. I was taken by my parents to an audition (there must have been 500 kids there) and was called back twice I believe. "I remember the last time that there were only like 25 kids left and I guess I didn't make the cut!! So I guess I was an "Almost Zoom Kid!" But it would have been great if I had gotten to be part of the show. I am an author and Rock Critic now, but the audition was a great memory for me. I would love to hear from anyone who was at the Audition in 1973 at the WGBH Studio's in Cambridge, MA. Please drop me a line at: JREED515@HOTMAIL.COM"
"Am I the only lunatic left who remembers the original ZOOM series out of Boston? I think WGBH was the parent station, and everyone wore these (hideous now, cool at the time) purple and orange shirts. 'Ubbie talk' came from Zoom, and I was one of many kids on my block who could sing the ZOOM song at the drop of a hat. 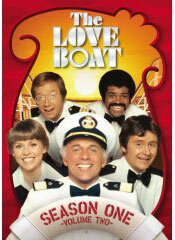 Please tell me I am not alone in remembering this '70s series. "And while we are at it, what about The Electric Company? Remember the live action Spiderman? Remember Morgan Freeman in an afro as Easy Reader?" ZOOM was one of the first children's shows hosted entirely by kids - and the first to successfully create a genuine, significant relationship with the home audience - probably why TVparty received more requests for an article on ZOOM than any other show. 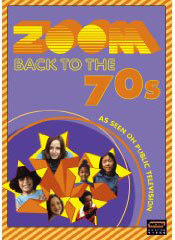 Debuting in January, 1972, ZOOM was an early attempt at interactive television - a group of seven kids from different backgrounds (ages nine through 13) working together to put on a half-hour educational television program, with major input from the home audience (and a staff of adult production professionals, of course). ZOOM was similar in concept to NBC's hour-long 'Take A Giant Step' that ran on Saturday mornings starting in 1971, but 'Take A Giant Step' never found an audience big enough for the commercial network - or the critical acclaim that ZOOM garnered. Regular features on ZOOM included five-minute documentary films made from viewer suggestions (starring the viewers themselves, thanks to newly-invented mobile video cameras), Merrymacs (kooky rhymes), jokes and stories, games, ZOOMplays written by viewers starring the cast, in studio projects (ZOOMdos), ZOOMdoodles, "As A Matter of Fact" (took place under a lamp post), and communicating in 'Ubbi-Dubbi'. 'Ubbi-Dubbi' is spoken by placing an "ub" before every pronounced vowel in a word. wh-ub-at-ub-ever. "It's nonsense to say it is innovative," Christopher Sarson (the show's creator and producer) confided in 1975. "It's nothing but kids playing games, rapping with each other, singing, dancing, being kids. There's nothing copyrightable about it. We don't even need writers. We rely on the kids; they mail in the ideas." About the casting, Sarson stated: "We're not looking for kids who have special talent singing or dancing, although being on ZOOM requires doing both, but for kids who are natural and spontaneous and unpretentiously charismatic. Kids are natural egomaniacs, and to feed that is to ruin their best qualities "
The first cast in 1972 (shown in these pictures) featured: Nina 13, Nancy 9, Tommy 14, Joe 13, Jon 13, Kenny 11, and Tracy 9. To keep any of the unpretentiously charismatic kids from becoming stars, half the cast was replaced twice a year, with no cast member lasting more than two years. Parents had to sign an agreement that their ZOOMkids won't do commercials for five years, or appear on television at all for three years after leaving the show. This would effectively kill any chance that the youngsters in the show would have further careers in show business. Not necessarily a bad thing, by the way! For instance Steve Burstein writes: "I grew up in Brookline, Ma, and as a kid I knew Mike and David who got on Zoom (on different seasons) through teacher Sidra Cohn. Every time my brother and I were someplace with Mike, a bunch of kids would bother him for autographs. A girl asked if my brother and I if we were going to be ZOOM kids, even when I was 13 I knew that was a pretty stupid question. Yeah. REAL LIFE IS LIKE TV. Some kids would yell "Hey, Zoom-fag!!!!!" The studios were immediately flooded with mail from would-be contributors, 20,000 pieces of mail a week during the show's heyday. To further promote audience participation, ZOOMcards were sent out to kids who wrote in. These cards featured cast pictures, with rhymes, lyrics, and puzzles on the back - along with a form inviting more submissions. That actively involved audience saved the show from cancellation after the second season. When word came down to the ZOOM staff that there was no funding set aside for the show's third season, the young hosts asked the audience to send in their photos. They got 40,000 of them, displayed them before the Corporation for Public Broadcasting funding board and won renewal. "When they spread it all out," Sarson said, "there were 40,000 faces staring up at them. It created quite a brouhaha." ZOOM was produced for Educational Television (now PBS) by WGBH-TV in Boston and is copyrighted © WGBH Educational Foundation. "The brand-new version of ZOOM premiered over a decade ago on my local PBS station [and on many throughout the country]. 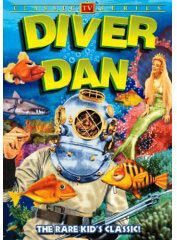 I was young enough to have watched the original. A great concept then; and from the looks of the premiere, still a great concept today. "They redid the theme song, spoke some "ubbi-dubbi"; "z-mail" is their term for snail mail; and it's all capped off in a jingle before the closing credits that ends with the show's website address but, more importantly, their "z-mail" address, complete with the singable zip code, "0-2-1-3-4." You can wave your arms to that one." "Zoom returns!! 1999!! Great show: with crafts, activities, challenges!! 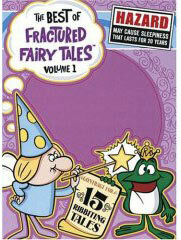 My children, ages 3 and 5 love it and so do I." "Do we know what happened to the original casts of Zoom? I was 12 when the show appeared, but still liked it. Did they all fall off the face of the planet, turn to drugs, or become public school teachers in Boston?" "You guys help bring back a lot of memories...I have a little trivia to stump you. It's related to the original ZOOM series. What other shows have featured ZOOMkids in their older, more mature selves? "1977 - Infinity Factory, a PBS show about the metric system. "Also in the 70's-some of the original ZOOMkids appeared as teenagers in a Clearasil commercial with Wolfman Jack. Now, if you have footage of any of the above or more, I would find you guys even more amazing than you already are!"